Beaphar Bone Builder Supplement For Dogs And Cats. Prevents Rickets, Anaemia And Bonesoftening. 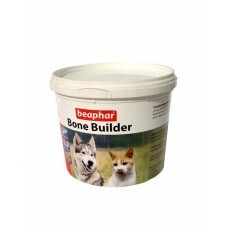 Suitable For Pups And Kittens, Growing Dogs And Cats.